Dr. Salam Bash Al-Maliky and his family fled Iraq in 2009 and joined the faculty of the Global Leadership Center and Engineering College at Ohio University, Athens, Ohio in October 2009. He holds a BS in Nuclear Engineering, as well as MS and Ph.D. degrees in Environmental Engineering. 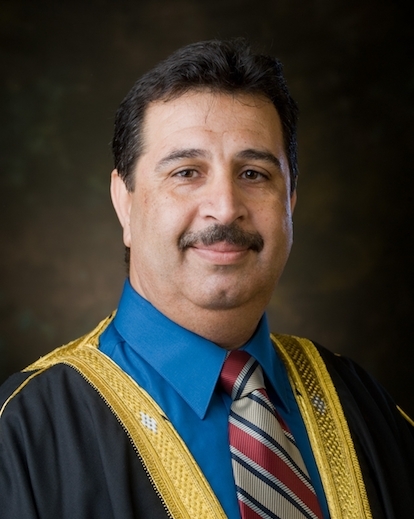 While in Iraq, Dr. Al-Maliky worked at the Iraqi Atomic Energy Agency for two years and was on the faculty of the College of Engineering at Al-Mustansiriya University in Bagdad. He also served as Director of the Agricultural Environment Department of the Environmental Research Center at that University for five years. He is a specialist in the areas of air pollution, noise pollution and sanitary engineering. At Ohio University he is currently leading an Iraqi-centered course for Global Leadership students studying the use of depleted uranium munitions during the military activities in Iraq. He also teaches air pollution courses for engineering students while pursuing his own research projects. A recognized expert in his field, Dr. Al-Maliky joined NYU’s Scholar At Risk program last year after realizing that his family could no longer safely remain in their native land.